Brant Hawkins was born in Bridgeport, Texas in 1967 to Bobby and Wanda Hawkins. He graduated Bridgeport High School in 1985 and attended Texas Tech university 1985 to 1988 and graduated from Dallas Institute of Funeral Services in 1989. He married Stacey Breeze Hawkins in 1990 and has 2 children, Tiffany Hawkins and Raby Hawkins. He also has 2 brothers Rob Hawkins and the late Bert Hawkins. His funeral service career started at the age of 4 when his father and grandfather ran the ambulance service, they removed the rear-view mirror, so he could stand in the seat while making calls. "My licensed practice started in 1989 as the 4th generation of the Hawkins Family funeral services and the caring for families till the present date. My caring for families is a type of ministry helping families through troubled and difficult times." Charles (Charlie) W. Davidson II, son of Cyndie and Pete Davidson of Amarillo, graduated in May of 2011 from the Dallas Institute of Funeral Service. Charlie was born in Decatur. When Charlie was only 2 years old, his father was transferred to Lombard, Illinois with Natural Gas Pipeline from Bridgeport. Charlie graduated from Waubonsie Valley High School in Aurora, Illinois. His many trips back to Texas to visit his grandparents: Margie & Jim Bradshaw of Decatur, the late Sherri Bradshaw of Decatur, & the late Nelda & Bud Davidson of Bridgeport, kept his interest in hunting & fishing. Charlie and Valerie were married on June 6th, 2017. Charlie has been a part of Valerie and her 11year old daughter Alexis’s life since 2012. This has become a blessing in his life and given him a chance to be a great part of their life before being a family and now they are his wife and daughter. They recently became proud parents to another beautiful daughter they named Chole. Charlie loves his family and he’s excited to seeing what the future holds for them all. Charlie is one of four children with three siblings and they are all very close to one another. His sister, Sarah and her husband, Brandon and their children Tristan and Adeline, live in Austin. Dustin his brother and his wife Aimee and their children Austin, Avery, Jack and Maggie live in Kentucky. His brother Christopher and his wife Madison also live in Kentucky. Charlie’s exposure to the Funeral industry was growing up hearing his dad, Pete, share his personal experiences working for the Hawkins family. Pete not only worked for the Hawkins in High School, he also developed a very close relationship with the late Floyce & Bert Hawkins who were the second generation in the Hawkins Funeral Home business. Over the years, the late Bobby Hawkins & Pete became very close friends. This friendship kept Pete & his family connected to the Hawkins. Pete has always had a great understanding & respect for the Hawkins family business. When Charlie came to Pete about getting into the Funeral industry, it was no surprise that Charlie would begin his career with the Hawkins family. Charlie is a very compassionate & caring person with an easygoing personality. Charlie’s teachers in school always talked about his willingness to help others & had the ability to get along with everyone. Cyndie & Pete believe that Charlie’s career choice has been a perfect fit. Cyndie said that Nelda, Bud, & her mom (Sherri) would have been very proud of Charlie and would have loved knowing that he was working right here is Wise County as Margie & Jim love having him here. Charlie Has worked with Hawkins Family Funeral Homes since 2009. Throughout the years he’s built a personal and professional relationship with the Hawkins Family and gain experience through the years as a Funeral Director at the Hawkins Funeral Home, from this relationship, developed a trust and confidence between him and Brant Hawkins that lead them into business together with the new construction of the Fort Worth Funeral Home known as Hawkins Family Funeral Home. Chet was born and raised in Decatur, TX. He began his career in the funeral business in 1979 while attending Decatur High School where he graduated in 1983. Upon graduation he served an apprenticeship at Shannon’s Funeral Home, Northside Chapel, in Ft. Worth. 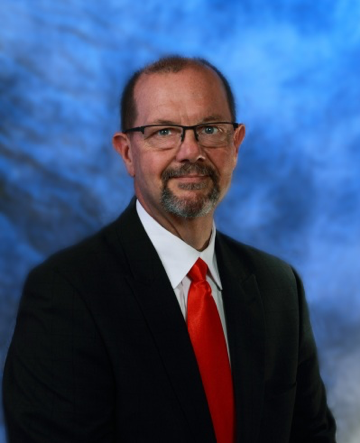 After attending and graduating from the Dallas Institute of Funeral Service in 1985, he continued with the Coker Funeral Home until it was purchased by the Hawkins family in 2007, where he has been serving the families of Wise and surrounding counties for more than 37 years. 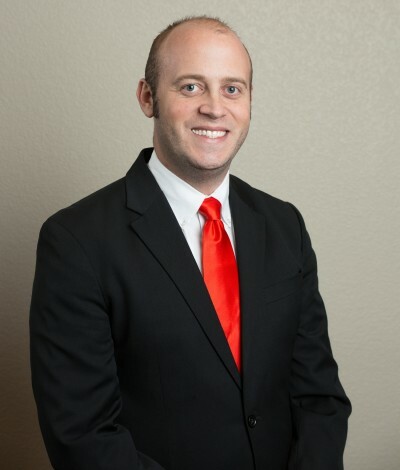 Chet is a licensed funeral director, embalmer and pre-need agent in the state of Texas. Chet married Elaina M. Oates in 1984, after getting settled in on their small farm outside of Decatur, two sons were born, Colton and Cruz Niblett. Chet is a member of the Decatur Church of Christ, is a leader in the American Cancer Society- Relay for Life and active in the Decatur Youth Fair Buyers Association. Chet is a Past President of the Decatur Rotary Club and a Charter Member of the Decatur FFA Alumni. He has served on the Decatur Chamber of Commerce Board of Directors. When Chet is not working, he’s enjoys hunting, fishing, working around the farm and raising registered Longhorn cattle. 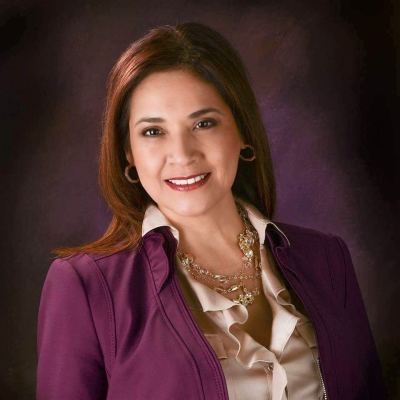 Rebecca Castro began her Public Relations career in 2001 as the Promotional Director for a professional boxing promotions company in Fort Worth, Texas where she proved her ability to lead and take on the demanding challenges to orchestrate and promote all aspects of a professional boxing event. In 2007 she then took her talents to an Oil & Gas Acquisitions firm and assisted with their development & promotions in several Shale plays. In 2013 Rebecca became the Events & Community Manager for the Fort Worth Hispanic Chamber of Commerce and in 2016 started her own business specializing in promoting non-profit events, Project Management and Consulting events for all occasions. Recently this year 2018 Rebecca was asked to be a part of the Hawkins Family Funeral Home with Co-Owners; Brant Hawkins and Charles Davidson. She is truly enthused with the new position and opportunity to create and promote Hawkins Family Funeral Home, by setting forth the highest standard of ethics, excellent customer service and lead with compassion, in regards to the families in our community, and giving of her time through volunteering and supporting all families, for this is her passion and joy. Her integrity, dedication, commitment and growth to the business and local community sector, are well known by all who know her. She’s committed to the success of Hawkins Family Funeral Home and is truly enthused for the opportunity to be a part of a highly recognized and well established family owned, funeral home. Rebecca is a native of Fort Worth, devoted mother of three children. She is passionate when it comes to giving back to her community and those in need. She has co-chaired several charity events over the past 15 years and continues to partner with Community Leaders in the community such as; FWISD schools (Jo Kelly School for Special Needs & Southwest High School JROTC Boosters) and other organizations for the purpose of reaching out to families, for the benefit of helping others. Her biggest passion is being an advocate for children who are physically challenge. Having a son with severe cerebral palsy, she knows all to well the demanding care that is required of her and her family. Rebecca was recognized by the United Hispanic Council of Tarrant County and Hispanic Heritage 2018 Award for her untiring commitment to the Hispanic Community. 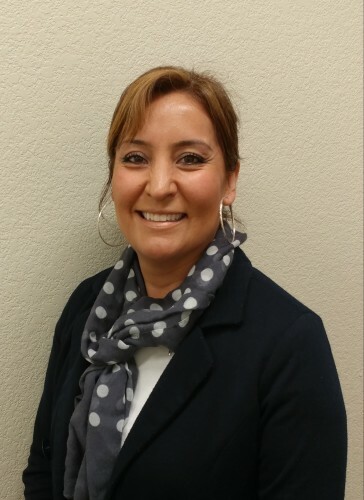 Maria is a Preneed agent, life Insurance Agent and Funeral Assistant that started working with Hawkins Family Funeral Home from the first day we opened the facility. She had noticed there was a funeral home being built in her community and wanted to find out whom we were and what were about. She did her research and saw the history behind the funeral home and was determined to meet us and talk to us about working for the funeral home. She drove out to Bridgeport 3 times to talk prior to the opening to see if she could help and become part of the new funeral home coming to her community. After the 3 trips to Bridgeport she made another stop at the construction site as the building was receiving the final touches and that’s when we decided to have her join the funeral home family. Maria was born in Zacatecas (El cala) Mexico to Inocencia Salas and Ernesto Perez. She moved to Texas 25 years ago and has been in the area for those 25 years. She graduated from North Side High School. Maria was married to her husband Juan Orocio in Ft. Worth, Texas. She has Two kids Valeria Salas who’s 21 and in college along with being a swim teacher while in school, her son Ernesto Salas who’s 17 and about to graduate High School and head to college also. She also has two sisters Maria S. Montoya and Maria I. Serrano who live here in Fort Worth along with her three brothers Celio Perez, Jose Abel Perez and the late Ernesto Jr. Perez. Family is everything to her and always making sure they’re taken care of and on the right path as she was raised. She’s active in the Our Lady Of Guadalupe Catholic Church and the Zacatecanos community for their events, primarily helping her neighbors when needed. She got into the funeral industry 6 years ago selling pre-needs and life insurance. She started out with selling life insurance to help families be able to cover funeral expenses when the time comes but realized not everyone gets approved or they cant afford the high premiums. This is when she started to offer pre-needs, to give families another option for taking care of their funeral expenses with a higher approval rate and lowers costs to her families. When she was 7 years old and lost her brother Ernesto Jr Perez she saw her mother struggle due to the costs associated with funerals. The pain and frustration she saw in her mother’s face while dealing with the loss of a child but also with the financial burden she was trying to figure out is when Maria first realized how important planning was for families. So for her the past 6 years she is able to help families with setting up something for their loved one and helping them not go through the pain that she watched her mom go through with her brother’s funeral.